If it comes off it will be nothing like the town has seen since the hospital was built in the mid-1970s: a $100m project, eight storeys high, 170 dwellings, an 85 room hotel, professional office space, restaurants, cafes – even a 110 place child care centre – all that adjacent to the CBD, on the empty Melanka site, now a painful symbol of the town’s economic malaise. At the moment Osborne Projects is cautious: “We are currently in the early Design and Viability Phase of the potential re-development on the old Melanka Site,” says the website launched today. If it works it will restore faith in the town’s future. Worst case scenario: We’re throwing good money – such as proceeds from the sale of TIO, which we need – at housing, which we don’t. The NT Government is currently subsidising 45 dwellings under construction in Alice Springs now. 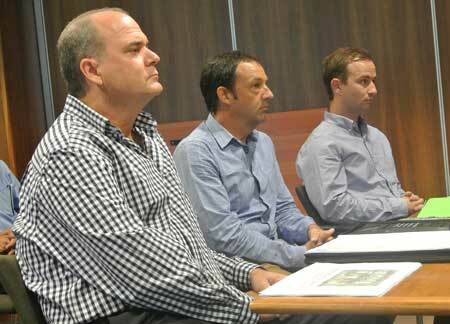 Developer Dean Osborne (pictured at left with architect James Forbes – centre –and Zac Neck – right), acting on behalf of the owner, Eden Developments (NT) Pty Ltd, says there have been discussions with the government about this Housing for Growth option, rent guarantees for some 70 apartments. There has been no commitment. When the hospital was finished in 1974 and some 1000 tradies and families left town, a vigorous tourism industry took up the slack. 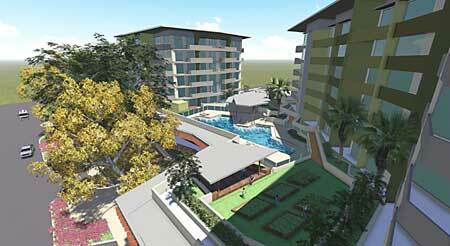 First Chief Minister Paul Everingham soon started building the Ayers Rock Resort. Today the tourism industry has contracted, is bereft of any vision for the future, and Ayers Rock Resort resort is draining vital income from the town. Failure with Melanka, many say, is not an option. Mr Osborne, who now lives in Darwin, previously spent 12 years in Alice Springs. When he gave his pitch to the town council meeting last night, the mood was bullish: the 15 minute slot he’d been allocated blew out to one hour and 10 minutes. Tell me if you want me to stop, Mr Osborne offered several times. Keep going, was the unanimous request. His presentation was rich on appealing features – private outdoor areas, personal BBQs and veggie patches, office workers able to store their bicycles in secure rooms (costing $400,000 to build but encouraging staff to ride to work), a star gazing rooftop – plus the usual trappings such as two 25 metre lap pools and gyms. But Mr Osborne was blunt on expectations that the project may be the saviour of the local construction industry: Alice tradies would be encouraged to put in bids, but the project needs a big builder – bigger possibly than Sitzlers, “up to 300 people on site, 50 plasterers, 45 tilers”. The South Australian government provides subsidies for building firms venturing interstate for projects. Mr Osborne said he’s often asked, who’s going to live in all these apartments? He forecasts that on-shore gas production in the NT will create a boom that will trigger demand for accommodation. He expects the NT Government to push this: It’s a no-brainer – on-shore royalties flow to the state, off-shore to the Feds. “Central Australia will be in the forefront of that push,” he says. And so, after a two-month period for public comment after the Christmas holidays, providing an opportunity to make suggestions on some of the features, a sales office will open at the site, offering strata title ownership. If enough cash flows, construction will start in the middle of next year. For housing the cost will range from the mid to high $200K (one bedroom) to around $700,000 (three bedrooms). There won’t be any millionaire’s penthouses – no market for them, says Mr Osborne. He accepted that the eight storey height may be challenged by some. The mandatory limit in Alice Springs is still three storeys. Approval for five has been given for the Supreme Court building in Parsons Street. But none of the councillors last night raised major objections. Deputy Mayor Kylie Bonnani said an image (pictured at top) shown by Mr Osborne should be circulated widely: It shows, as seen from Anzac Hill, that the building obscures very little of the ranges, and none of The Gap. The only reservation was expressed by Cr Jade Kudenko who suggested that for Aboriginal people the important sightlines may not necessarily be from Anzac Hill. Have they been consulted? she asked. Mr Osborne said he had spoken to the Aboriginal Areas Protection Authority and there will be ongoing consultation with it, not in the least to deal with the sacred trees on the Melanka site being protected, and in fact featuring as an enhancement of the new buildings. He explained the economies of scale with respect to height: For example, take a crane. It takes seven trucks to transport it and its foundation alone costs $180,000. The Melanka building will need two tower cranes. Considering what equipment is cost effective, eight, 14 and 30 storeys make sense. Five is “no man’s land”. In any case, the buildings are only three metres higher than the tallest trees. The proposal for the 13,100 square metre site – equal to 18 large house blocks – draws on the experience from two big and several smaller projects in Darwin. It’s all in the detail, says Mr Osborne, adapted to the special conditions of Alice. One of them is its being located on a flood plain. All commercial and residential spaces will be raised above the Q100 – the level of a flood likely to to occur every 100 years. That’s one metre above Gap Road. That part of car parking which is underground is the exception. Water can be kept out by sandbagging of just two entrances, but residents will be recommended to move their vehicles when there is a flood alert. Security will be enhanced by strong lighting all ’round the three towers, by using about 100 security cameras, some motion activated; by locking gates to block public access to the lane at the western side at night and weekends, and careful design of the street scape, avoiding places where people can hide. The lane is part of a land swap with the town council, also including an increase of car parking on the Gap Road frontage, from 17 to 34 car parks, on an angle. 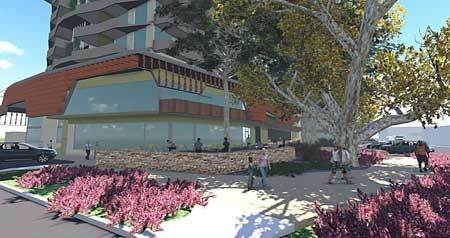 The sketches show rather bland buildings but that can change in line with public input, especially the colours. The only attempt to blend in with the old-Alice style buildings will be the childcare facility on the part of the block that juts out to the west to Hartley Street, between existing houses. Heritage architect, Domenico Pecorari – one of the town’s most vocal opponents to high-rise – has been hired to do the design. On the flat roofs strata title owners will be able to buy space for private photovoltaic panels, and hot water will also be solar. It’s all part of the concept of an urban village – take the lift down and have a coffee, or up to see the sun set on the ranges. The Osborne group has learned some useful lessons as the caretaker of strata title complexes in Darwin. The leases, Mr Osborne says, are a “fully transparent” 20 plus 20 deal, all fees disclosed up-front, and governed by the NT’s “good laws”. Corporate memory is a useful thing; it makes sense not to farm out the project management to someone with constantly changing staff. “Intellectual property” of a full time on-site manager is vital, building up familiarity about the operation, what plants to grow, and what pests need to be coped with. In reply to Dr Wrongo’s comment about Ford Plaza “probably touted as something to revitalize the CBD”, you’re absolutely correct. There was plenty of debate about this project that commenced in 1986 but my favourite would have to be the article in the Centralian Advocate written by Les Platt, the Plaza’s architect, who stoutly defended this project. He assured that the new shopping complex would enhance and complement the new fully pedestrian Todd Mall, also then about to be underway. The Todd Mall and Ford Plaza were officially opened within days of each other, in October 1987. Within two months Todd Mall was developing notoriety for violence and vandalism at night, and within two years businesses were clamouring for the re-opening of the mall to traffic. Meanwhile, Bill Ford went broke (along with other local developers) as economic recession took hold; and in its entire history the operation of Alice Plaza (as it now is) has been subsidised by government through payment of rent for (mostly) upper level offices which otherwise would remain vacant. Even the NT Government had to bite the bullet when it closed the ill-fated Spencer and Gillen Museum which occupied much of the upper level of Ford Plaza in its earliest years, as hardly anybody bothered to go there. 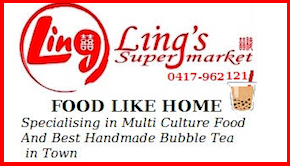 Is this another Le Cornu’s site? We’ve got one member of the white shoe brigade congratulating another, one columnist “spraying from the lip”, another clutching at “flotsam and jetsam”. At least Dr Wrongo is right o. If you really want a great view of the Gap I suggest you visit the Alice Springs Golf Club and enjoy a ice cold beer on their balcony while enjoying the vista.Cheers! To all the critics out there I know for sure this would certainly have people wanting to buy here in to this kind of development any day. There really needs to be an alternative to the types of developments around town one sees and this urban development is certainly going to appeal to many. May be if more people lived and worked in this area the precinct would get more eyes on the street to make it safer. Council might even benefit from more patrons on its council bus service for those choosing to take public transport into town. I look forward to this development happening. That Ford Plaza thing was probably touted as something to revitalize the CBD. I’m sure at the time all the builders and developers were spruiking how wonderful it would be to have all that money pooring into their pockets. 20 odd years later the council spends thousands trying to combat the effect it has had on street life. Is this going to be a new Ford Plaza. The white shoe brigade, back in town. In my dreams, I see this developer and architect Domenico Pecorari going back to the drawing board and coming up with a three storey (with underground carpark) building that is an Aboriginal Cultural Centre on the ground floor, café, shopping, performance space and accommodation designed around the sacred trees. It’s a big enough block for all this to function and sustain profitability over the long-term, just maybe not as big a splash as the financiers envisaged. The integration and design could tick all boxes. I agree that there is a growing reservoir of empty flats and houses in Alice. Add to that another growing reservoir of empty business premises, are all empty because people are leaving town? And why are people leaving town? They are leaving town because they see no future here. Our tourism industry is all but gone. 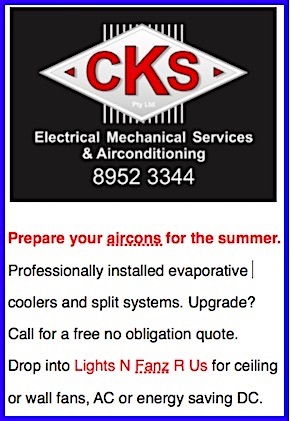 Our tradies are looking elsewhere for work. We are so in the doldrums that the NT Government has reduced us to a dot on a map when promoting the NT on planes flying to Asia. Given all that, do you really want to stop someone who has indicated he is willing to spend $100 million on an eight storey building? Already the three storey limit has been breached. Won’t the new Supreme Court building be five storeys above ground? Very few vistas in Alice offer a view of the Todd, but we all know it’s there. The proposed eight storey building will not diminish the ranges. Like the river, they will always be there, and we will always know that. So let’s let this building kick-start Alice. I am sceptical that the venture will ever get off the ground, but I do sincerely hope it does. Hal Duell (Posted November 29, 2014 at 12:00 pm) don’t fall for the hype of Adam and the developers. We have to look to the longterm implications of this move, not the short run. There is a growing reservoir of unoccupied houses and flats in Alice Springs. The property market will surely take a dive in the next 12 months. This in itself is not a bad thing, but the idea that we should sacrifice our hard won planning principles to give a handful of businesses and a couple of politicians a quick but unsustainable fix is not a good plan. Let them build according to existing guidelines, or future generations (and future business people) will curse us for selling out the harmony that has been achieved to date between the proportions in the landscape, the lines of the natural features, and what remains of the low-key outback charm of the town. The future of the town as a tourist attraction is absolutely key to any economic sustainability that we are seeking, and it will not be assisted by allowing this development to proceed above the present height restrictions; but the potential of that future tourism market will surely be retarded by allowing this to happen. The admittedly special sense of space that is part of Alice Springs will not be negated by eight storey buildings. Case in point – stand on any street running east to west in down town Adelaide and look to the east. The Adelaide hills are visible. On the other hand stand at the bottom of any high rise anywhere and look up. All you will see will be a building. And I repeat my question from an earlier post – how well is our three storey limit working for us? Can anyone say it is producing a vibrant, bustling CBD? Once upon a time Alice Springs was a quiet, dusty little outback town. Those days are long gone. The times have changed. The mind set has changed. But we are still locked into an outdated and outmoded dynamic, and the contradiction is killing us. Any balanced discussion about allowing High-rise development must include the impact on the community. This project would set a precedent and six to eight storeys would be the minimum height developers would look at. It may take 10 years but it would happen. Two of the towns greatest attributes are the sense of space you get and the magnificent Macdonell Range that defines Alice Springs. If high-rise is to go ahead then there are more things to consider than just who is going to make a profit. Decisions made now will shape Alice Springs into the future. You don’t want to look in 10 years and be sorry. Plan for the future, not just next year’s bottom line. If ANYONE wants to come into Alice and spend $100 million on a project that will revitalise and populate our moribund CBD, what’s not to like about it? As for the proposed height, how well is the current three storey limit serving us? There’s not much sign of life down town right now. And as for any impacted line-of-sight, if you’re standing on Stott Tce or Gregory Tce and feel your view of the ranges has been compromised, for heaven’s sake walk down to the next corner. The ranges are still there and still visible. Guaranteed. There’s a lot of uncritical enthusiasm being expressed for this proposed development which perhaps masks a certain level of desperation about how to solve the general malaise afflicting Alice Springs. I’ve not yet had time to look at this proposal in depth so I’m not venturing an opinion one way or another about it. However, this is at least the 10th proposal for a multi-storey building development above the three-storey height limit in the past 40 years. None have eventuated, and it might be prudent to examine why this is so. Proceed with caution, if at all. Let’s get to the point. Are you advising readers of Alice Springs News Online that Osborne Projects / Eden Developments are NOT going to be eligible for the CLP’s special “Housing for Growth” policy, as one example? I obviously don’t have direct access to the information determining eligibility, however I’ve been advised that a large property development of this nature would now “be crazy to proceed” without first being given an indication about their eligibility for the CLP’s “Housing for Growth” policy. But this project should be judged on its merits and I don’t want to mislead people on this important matter. I’m happy to stand corrected. 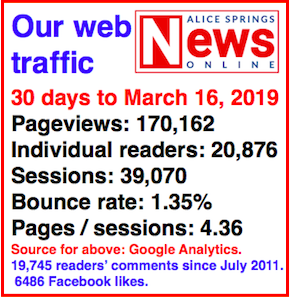 Steve, simply share the relevant information you have that says otherwise, so readers of Alice Springs News Online can just make an informed decision for themselves. Let the truth prevail, as the saying goes. Only a blow-in lefty could feel so threatened by those that have the foresight and intestinal fortitude to take on the risk that developing private enterprise projects of this scale entail. But guess what! Their money, their judgement, their risk, their right! This is a free enterprise project! Nothing to do with government! Sitting on your proverbial, casting sarcastic dangerously ill informed aspersions about some underhand play by Government is just plain sour grapes from a person who is obviously stricken with a very bad bout of envy! Word of advice, Edan, you want to make it in our town instead of sitting on the sidelines whingeing, get off your backside and demonstrate some belief by taking some risk yourself! Little pink flowers absolutely do grow in this town! In fact you can grow just about anything! It just takes a bit of effort. And Maya, Alice Springs has a better water supply than just about any town in the country! As for the height thing, Alice is surrounded by ranges. We could build thirty floors and still not break the horizon. If you take the time to look at the virtual plan you will see that the building at eight floors will simply disappear into the surrounds. Given that not so far away there is likely to be several other buildings of similar height it won’t even stand out as the only building of that height for very long. Eight floors is part of our town growing up, progressing, providing homes jobs and futures for our children while at the same time providing security for those already invested here. This project is a demonstration of the owners’ belief in the future prospects of our town not only will it generate jobs by itself, during the building phase, it will also provide long term jobs through management and the hotel it encompasses. The excitement and confidence created by this project will encourage others to invest in their own dreams. When you put these thing together with the jobs soon to be created in mining and gas projects new industry like the aircraft storage and maintenance facility, possible upcoming projects like the National Cultural Center the Development of DK, growth in tourism brought about by the second airline, increased effort in marketing, and new facilities such as this project, concentrated effort on developing the North, all these things add up over the next 10 years into thousands of new jobs in the region! That is why smart people, those who are not faint of heart, get in on the ground floor and build to cater for that growth, now, before the inevitable escalation in costs that growth on this scale brings. There will never be a cheaper moment to build than right now. 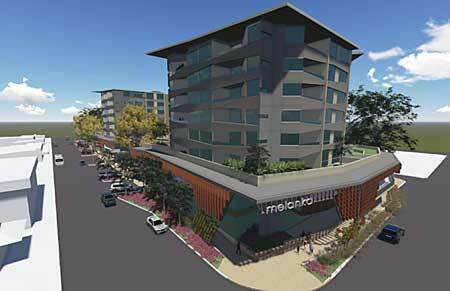 That makes those planning to construct the Melanka Project very smart indeed. So don’t sit round worrying about them, do something yourself. To build something useful on the former Melanka grounds, that’s fantastic, at last. But my strong objection goes to the HEIGHT and the USE: “Eight storeys high, 170 dwellings, an 85 room hotel, professional office space, restaurants, cafes – even a 110 place child care centre” For whom? If ever we’ll have to rebuild the hospital as well to service this additional and heaven sent in-flow of residents and visitors! Just try to remember that Alice Springs is a regional remote township, with limited ground water, and this big white elephant will not bring an economic resurrection but just an eyesore. Little pink flowers do not grow in Alice Springs. Surely the entrepreneurs who may decide to go ahead with monster optimism, must have done their sustainability study: Affordable accommodation, short term transients, Chinese tourists, nurses and locums on six months contracts, shops, offices, cafes … after all others empty shops, for sale dwellings, and new developments “over the Gap!” have been filled. More importantly, if we wish to have a community that lives harmoniously together, one must consider the sensitivity of the people whose place is Mparntwe, and who are here to stay. Only members of the noisy CLP rah-rah-rah brigade would be biased enough to say “great news” without discussing the policies and financials at play here. Until precise numbers are released to the public regarding the NT Government’s contributions / incentives associated with this project it’s impossible to make an informed assessment about whether this is really “great news” for the Alice. This is especially so in light of recent public asset sell-offs and the many other competing priorities for this town. This article states “no commitment” has been given regarding the eligibility for the CLP’s “Housing for Growth” policy. Come on! Would this project really be a viable proposition without the certainty of the NT Government paying the rent for a 10 year period (guaranteed for 52 weeks of the year at market rates)? I wonder how the towns’ competing hotels and tourism operators feel about this? Personally, I do like a good 3D graphic render and it seems like the developers have given some thought to the sensitivities of developing in the Alice. Yes, it is great that there are investors coming forward with proposals about possible uses for this important space. It’s great that they respect the sacred trees on the site. It’s great that they’ve engaged Alice’s articulate and thoughtful Heritage architect, Domenico Pecorari to contribute to the project. 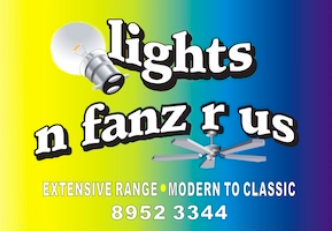 It’s a pleasant sounding company name. But I’ll be looking forward to the real figures about what NT Government moneys will be used to subsidise this project now and into the future. I do hope this information is available soon in order to ensure Alice Springs residents are fairly informed during the community consultation process which occurs over the next next two months. @1 – Bronte, I would expect that this development and recent others or currently under construction, will place downward pressure on both house prices and rents. Whilst this may affect me personally as an owner, I feel the long term viability of the Alice economy and cost of living will return benefits by the spades. The population, spurred on by the lower cost, will undoubtedly increase to meet supply and hopefully lead to a self sustaining economic and social recovery. Do we really need this at the moment? Five percent of housing in Alice Springs are empty, with all new housing developments there will be a over surplus of housing. Fantastic news. It’s been a long time since the town has seen a project that will benefit everyone. It’s time to move with the times and go to eight storeys, the same as it was sensible to build the Sheraton hotels. Well done, Osbornes and NTG. To the developers, you are a long established development company in the Northern Territory that has good core values and vast experience at successful ventures. Alice Springs desperately needs entrepreneurs like you to make life in Alice Springs more affordable and to attract thousands of extra people to live here. The negative vested interest groups that don’t want your project will gladly enjoy the benefits that this project bring to this emerging modern town. Keep up the good work, guys. Not sure what Greg’s comment above means, about wasting money. Only problem I have is the height. Three stories will blend into the town better. Bloody fantastic. The best news Alice has had in a very long time. New life, new hope. New enthusiasm for our town As for the pests, Greg, don’t be so negative. What you allude to is taken care of by good and “continued management”. The developers are writing that management into the project. After the past few years of dwindling fortune this project will be an enormous boost to the town’s morale, and along with that our economy. 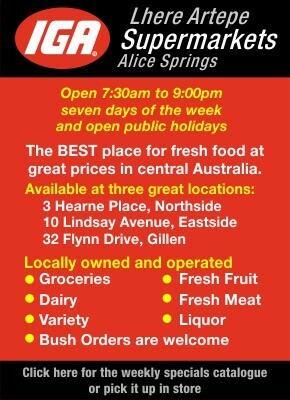 So feel the excitement Alicespringites! Let’s get behind Dean and his crew, give them our support, do whatever we can to make this wonderful project a reality. The “pests” have already done their work. The garden will shortly be a wasteland. Don’t waste you’re money!